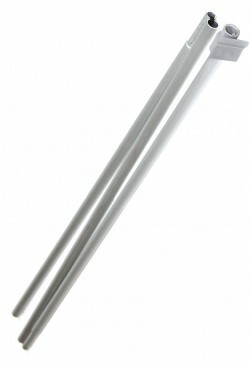 The Budget Roll Up is our least expensive retractable banner stand model. 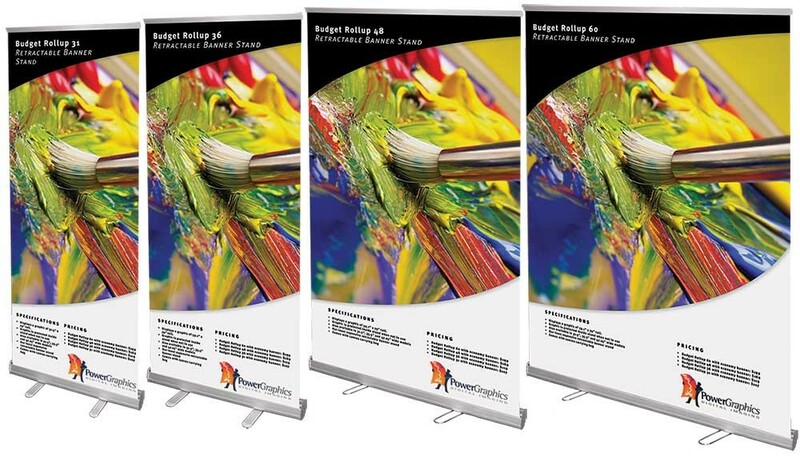 The Budget Roll Up 31 displays a banner with a visible size of 31.5" x 79". I wanted to know, Do you get the stand and the banner with Budget - 10oz Scrim Vinyl for 67.00? No, that is the price of that banner option in addition to the price of the stand itself. If you chose any of the options, the price will update to show you the new total. Would this stand be suitable for a banner 24 inches wide? Keep in mind that if you're trying to make an existing banner work in a retractable banner stand, your banner can't have grommets or hemming that would prevent it from rolling up properly in the base, and about 6" at the bottom is going to be hidden once the banner is installed. Your height will also need to be exactly right for this model, so it's always best to choose the stand before printing the banner so you can make sure it will work. Contact the office if you have more questions or need more help. The Budget Roll Up is our least expensive retractable banner stand model. We introduced it for customers who needed a low cost model for large promotions, or for those on a tight budget who weren't as concerned about long term durability as much as the initial cost. 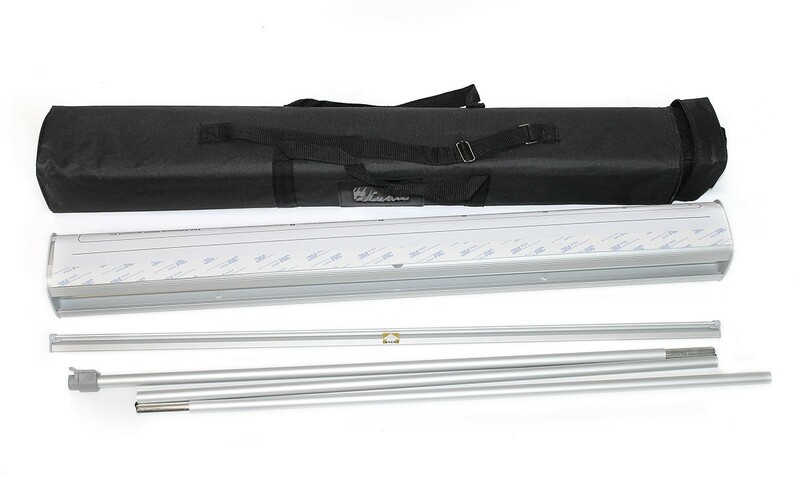 Unlike other cheap banner stands on the market, the Budget Roll Up is sturdy enough to survive shipping, stands up correctly without leaning, and has a more finished look thanks to the concealed pole connection to the top rail instead of an unsightly metal hook that is visible above the banner. The Budget Roll Up shares it's form factor with many different banner stands on the market that all look similar, but there is a big difference in how they are made. Most of the stands of this style are made of very lightweight aluminum, which is easily damaged and has poor structural integrity, which is why they lean or fall over. 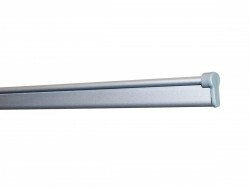 The Budget Roll Up is made of heavier aluminum, so it has the strength to stand up straight under tension and to survive the typical handling during shipping without arriving broken. Also called roll up banner stands or pull up banner stands, this style of display features a spring loaded roller that holds the banner under tension, and rolls it safely into the base for storage between uses. 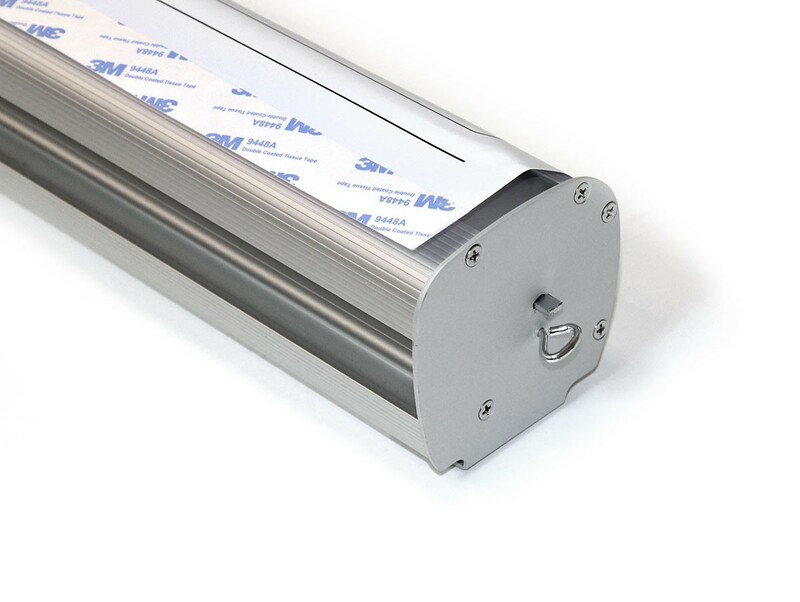 The Budget Roll Up has a standard plastic leader that attaches to the bottom of the banner with adhesive, and a snap style top rail that clamps on to the banner for a secure connection. Available in 4 different widths, the Budget Roll Up is an excellent value and comes complete with a lightweight padded carry bag with shoulder strap. One of the advantages of a compact style retractable banner stand is that they take up less room when packed and tend to weigh less as well. This makes them less expensive to ship, especially when shipping multiple stands. However, they do take more floor space because of the swing out feet that are needed for stability, and lighter weight stands aren't as stable if used in high traffic areas. The Budget Roll Up 31 displays a banner with a visible size of 31.5" x 79". An upgrade for this model, keeping in the same compact form factor, would be the Econo Stand or Metro models. The Econo Stand is a 33.4" wide model that is very well made for the money, but is still very inexpensive and has a limited lifetime warranty. The Metro comes in a range of sizes like the Budget Roll Up, and is available in both silver and black finishes and also has a lifetime warranty. We don't offer anything less expensive, and in our experience, anything that is less expensive isn't likely to work correctly, at least not for very long. Since most customers who purchase the Budget Roll Up are using it for short term display or local events where it doesn't need to be shipped, a shipping case is not typically a necessary accessory for this banner stand. If it is being shipped, a case is a good idea since lightweight stands are more likely to get damaged in transit. 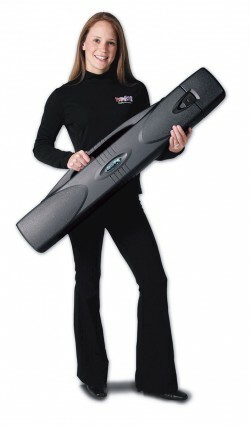 The Smartpak Banner Stand case is our recommended option when a shipping case is needed. It's small and lightweight, fairly inexpensive and will hold the stand in its padded travel bag. You can find the case by scrolling through the items in the Related Products tab. 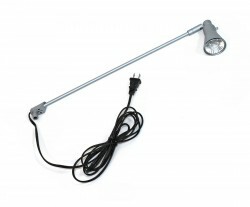 We don't normally recommend lights for the Budget Roll Up 31 because of the lightweight nature of the stand, but if a light is required, the Silver Light and Silver Light LED spotlights are both compatible with the fitting on the top of the support pole. 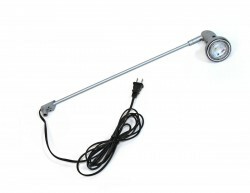 These can also be found in the Related Products tab. Shipping size: 36” x 5" x 4"
The video demonstrations below are actually for the Econo Stand model, but the process is so similar, we've posted the videos here to help anyone who needs assistance with the banner installation or setup.